The E-commerce Revolution is reverberating throughout the U.S. Postal Service, but not in the destructive manner of other digital disruptions like email, online news, and electronic bill payment. Largely, if not solely, because of online merchants, the agency’s “Shipping and Package” revenue is growing at a 10%-plus annual rate – no doubt a surprise to the digerati who for years have been predicting that the USPS would wither away into obsolescence. One expert estimates Amazon now turns to the USPS to ship 40% of its U.S. sales, and that doesn’t even include packages that are handled by FedEx and UPS and then turned over to the Postal Service for final delivery. 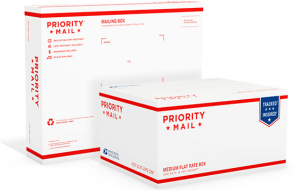 The rapid growth and favorable prospects for such products as Priority Mail and Parcel Select are bringing about extensive changes to the agency’s operations, plans, and even how it thinks about itself. 1) Endangered no more: “Postal worker” still appears near the top of nearly everyone’s list of occupations most likely to go the way of buggy-whip makers, but the lists are out of date. In response to declining mail volumes, the Postal Service endured year after year of downsizing, including 155,000 workers from 2007 to 2012. But the surge in e-commerce deliveries has derailed plans for further cuts, keeping employment levels steady the past three years. 2) Newbies: During the downsizing years, new hires were a rarity, but these days a retiring worker usually has to be replaced, typically by a non-career worker. The USPS’s hiring rate has tripled and its workhours devoted to training have doubled in the past four years. The agency has struggled to recruit new workers and bring them up to speed, acknowledging that the newbies are leading to more mis-delivered mail and on-the-job injuries. This entry was posted in Downsizing USPS, General Union Business and tagged downsizing, e-commerce, First Class Mail, LLV delivery vehicles, mis-delivered mail, non-career recruitment, on-the-job injuries, Saturday delivery, shipping and package revenue, Sunday delivery, USPS’s hiring rate, wifi-enabled cluster mailbox. Bookmark the permalink. ← How is New York City related to famous postal quote?